Forget your laptop. On purpose. 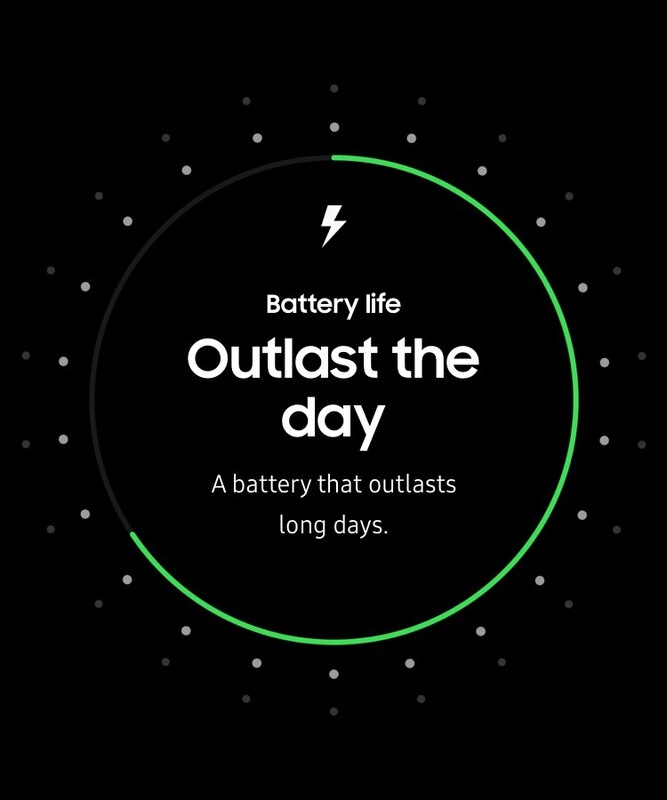 A battery that outlasts long days. Your team wants a better way to get business done. They want the Galaxy Note9. It’s a business phone that’s built for a workforce that never quits, that can not only keep up with the way they work, but transform it. It’s time to disrupt or be disrupted in what we call the Next Mobile Economy. 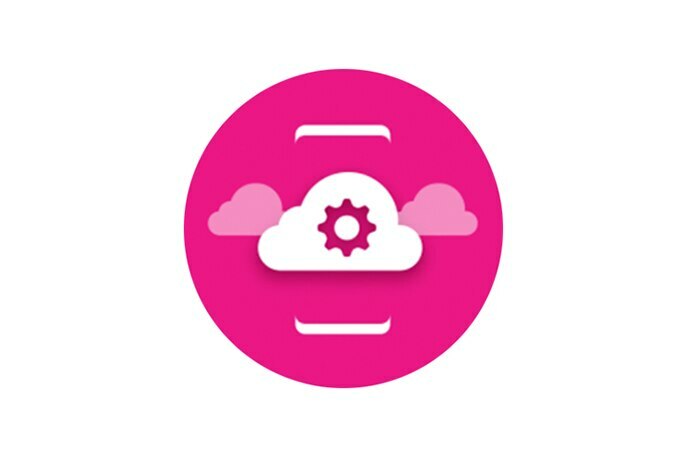 Smarter features and powerful fundamentals ensure your team is always empowered to handle business. From the DeX desktop experience to the intelligent S Pen, they can work without a laptop in creative ways. An on-the-go team needs an always-ready-to-go phone. 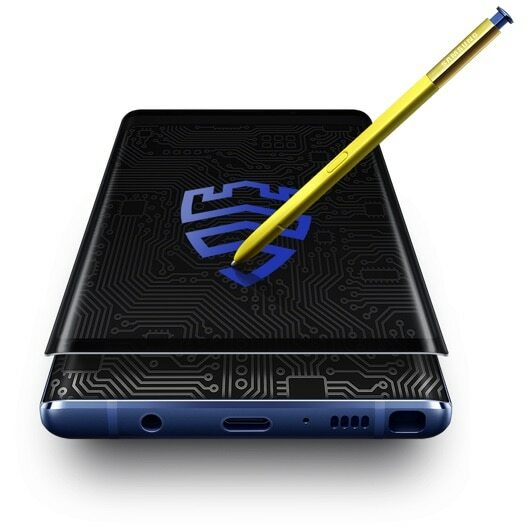 With features like an all-day battery1 and exceptionally fast performance, the Galaxy Note9 is designed to keep work going anywhere, anytime. 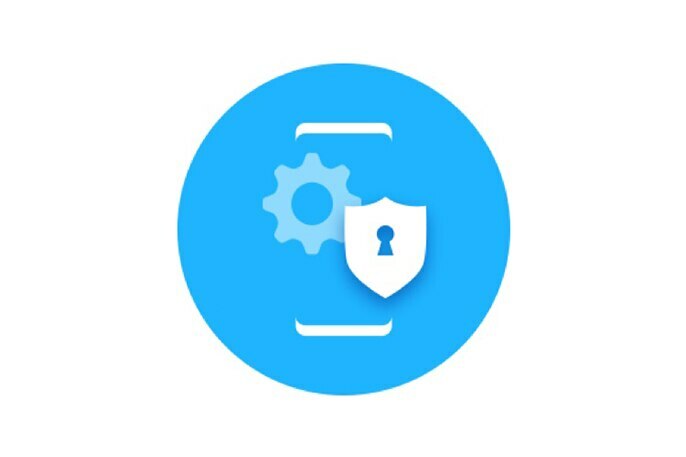 Protect and manage your business’ data with Samsung’s defense-grade Knox security and customizable services that make it easy to deploy, manage and update devices while on-the-go. 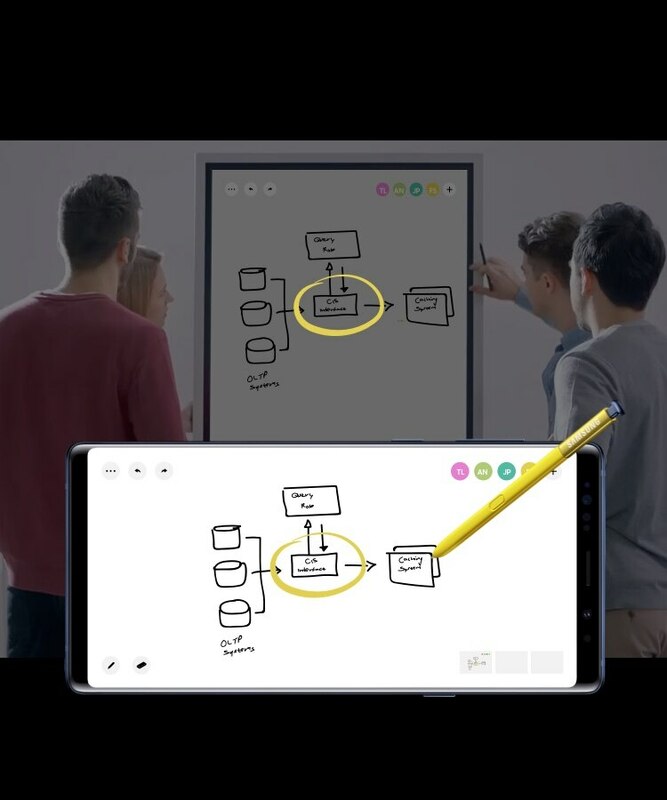 Built with Samsung Knox defense-grade security and Samsung DeX mobile computing capabilities, see why the Galaxy Note9 is the only phone with the necessary tools to nail your team's next pitch. 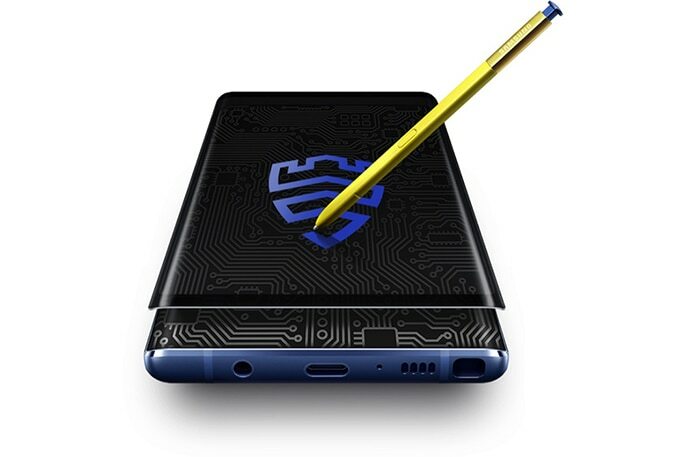 See how the new super powerful Galaxy Note9 is equipped with the tools necessary for fulfilling your client orders, even at a moment's notice. Improve the patient experience thanks to seamless continuity from the workstation to patient rooms and back again. 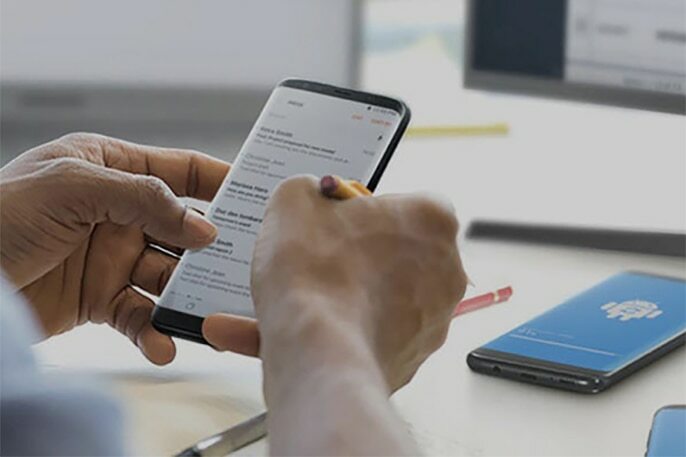 The Galaxy Note9 with Samsung DeX lets you use one device to connect to stations and while on the go, so physicians can focus on quality care. Give more attention to customers without disrupting your work. With the Galaxy Note9 and Samsung DeX, your work can start at the desk and finish on the go with one device. So you can seamlessly bounce between your customers' needs and managerial tasks, and still get it all done. Empower your personnel to switch from a laptop experience inside their vehicle, to secure handheld data access in the field, to a desktop experience back at the station-without even thinking about it. All from the Galaxy Note9 with Samsung DeX. 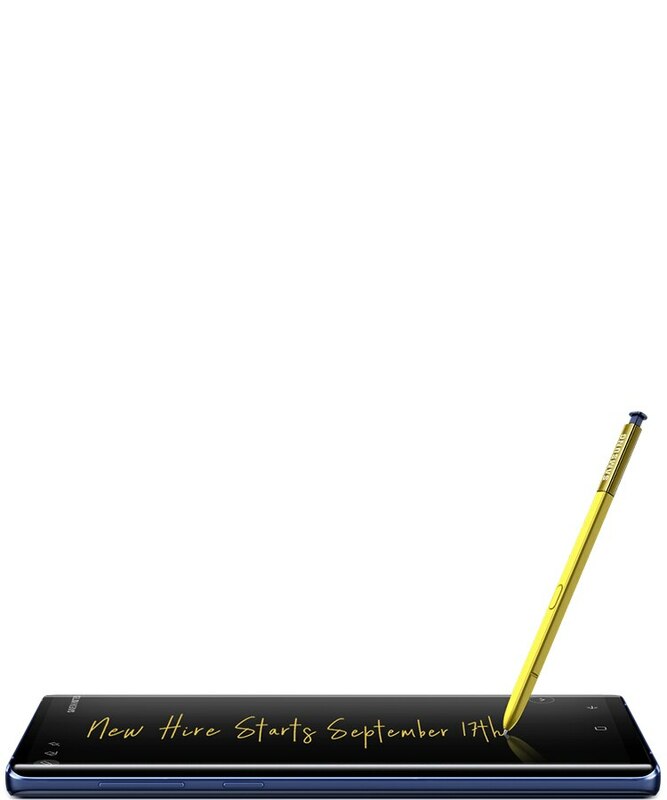 All new S Pen. Now with intelligence for ultimate control. 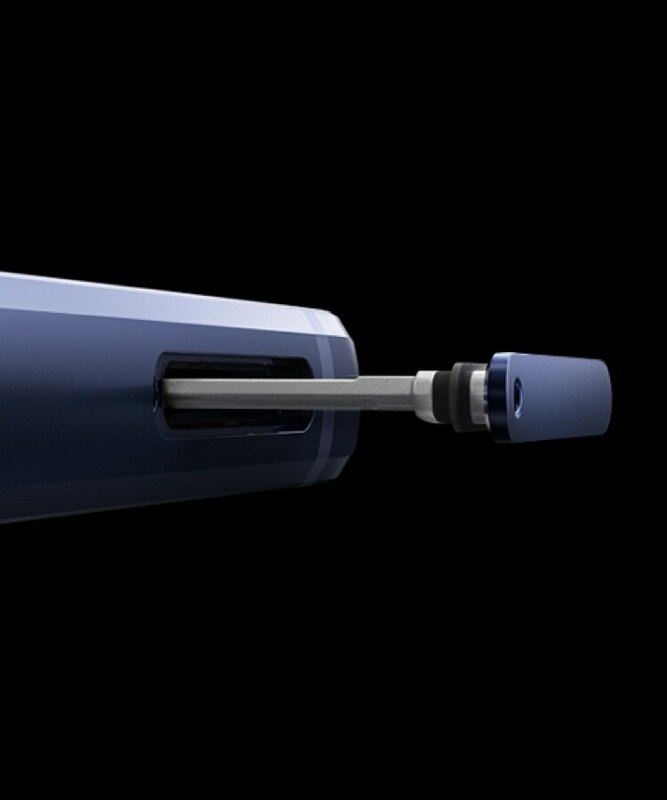 The S Pen is the world’s most powerful stylus, made even more powerful for the Galaxy Note9. Control presentations or capture photos like never before and take work to the next level. Capture disruptive ideas simply and quickly, and use Smart Select for easy highlighting and editing. 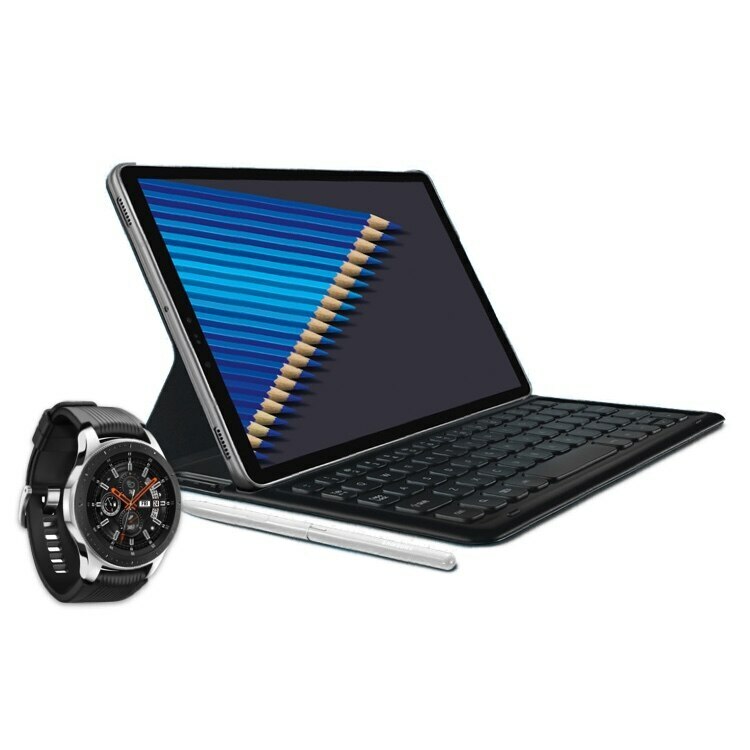 Plus, your team can use the S Pen as a remote control thanks to its Bluetooth Low Energy capabilities. Control presentations or capture photos like never before and take work to the next level. 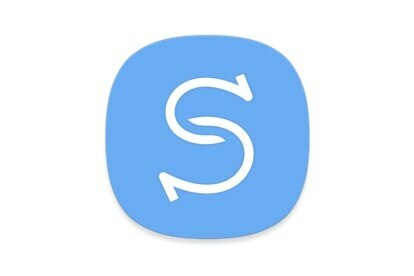 Use Smart Select for easy highlighting and editing. Plus, your team can use the world’s most powerful stylus, the S Pen, as a remote control thanks to its Bluetooth Low Energy capabilities. 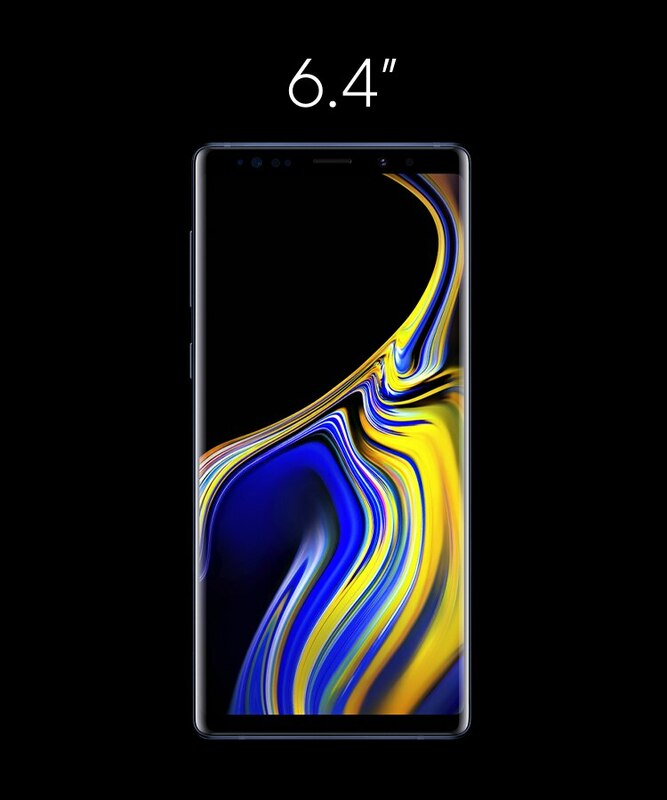 The Galaxy Note9’s 6.4” Infinity Display is our largest ever and lets your team see and do more, for an enhanced on-the-go experience. Its large, brilliant screen makes it more immersive than ever, whether they’re watching videos or editing documents. Shoot like a pro and capture the best of work, and the best of play, with the Galaxy Note9. 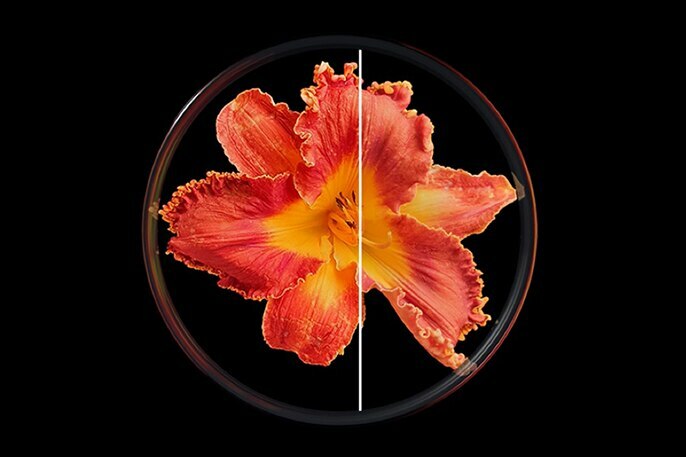 The dual aperture works like an eye, adjusting to any light so your team can take stunning pictures anytime and anywhere. Plus, capture optimization and instant flaw detection makes it almost impossible to take a bad shot. With a camera that immediately catches closed eyes or blurred images, you’re always left with an on-the-spot perfect shot. 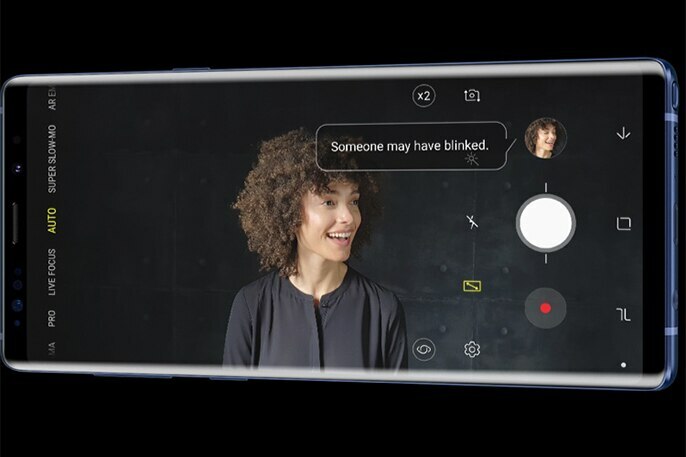 Connect your Galaxy Note9 with the Samsung Flip for interactive content visibility, notation and sharing. 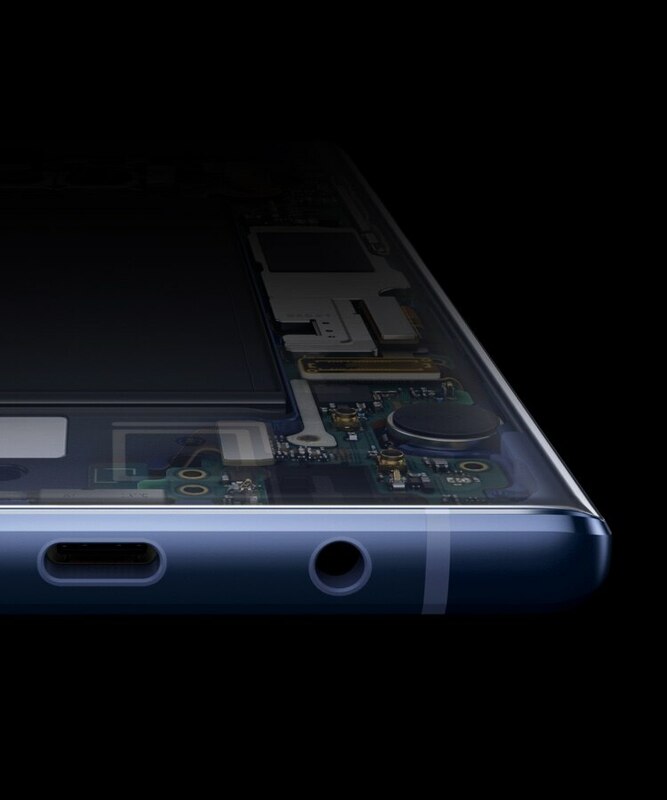 The largest battery in a Note, ever. When your team has an all-day battery,1 they are always ready-to-go. 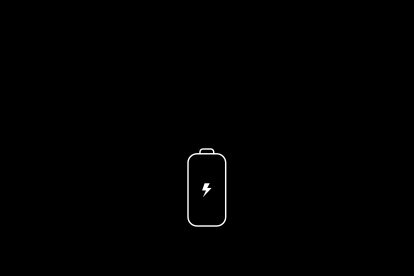 More go with less charge. 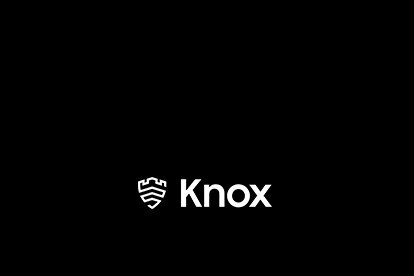 In a constantly changing world, Knox security lets your people be open to ideas, not security threats. Biometric unlock secures business data with a look or touch—or both. 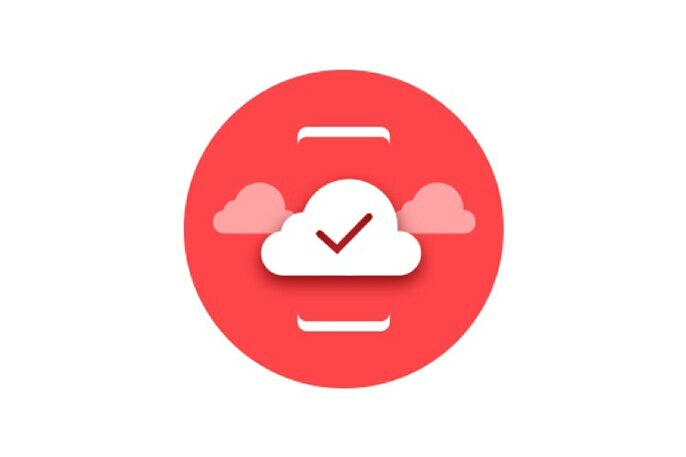 Iris and fingerprint scan enables multi-factor authentication that’s as fast and convenient as it is secure. 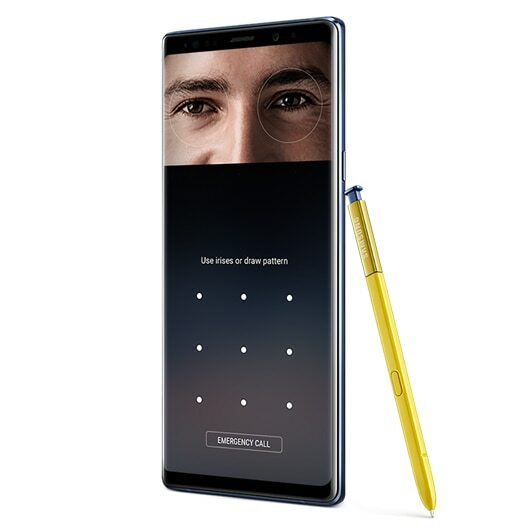 Whether your old devices are Android, iOS, BlackBerry or Windows Mobile, switching to the Samsung Galaxy Note9 can be done easily. Our Smart Switch technology even allows your team to transfer contacts from Windows and Mac PCs. And Samsung provides everything your business needs to migrate and deploy the new super powerful Note. With Samsung, switching has never been easier. 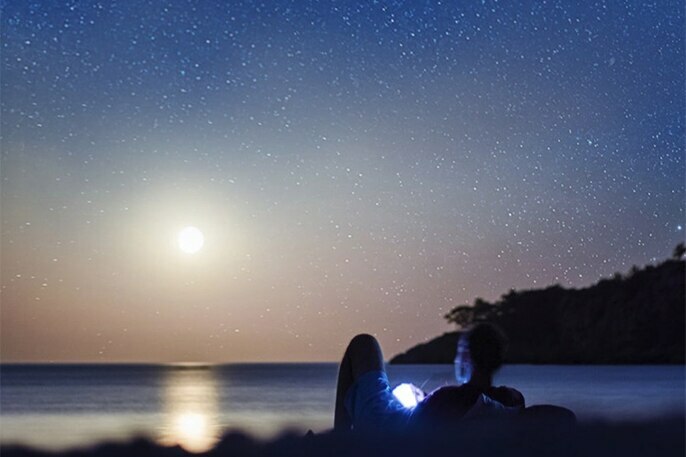 With your businesses devices, out of sight is not out of mind. 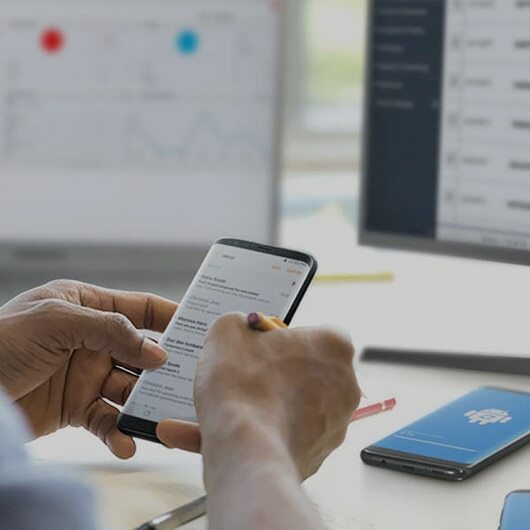 Samsung partners with Unified Endpoint Manager (UEM) and Mobile Device Management (MDM) providers like Blackberry® and VMware® to help you easily manage all your team’s devices. We give you an end-to-end, integrated view of all the users within your company—regardless of the device or the OS system they’re using. Now you’re in control. 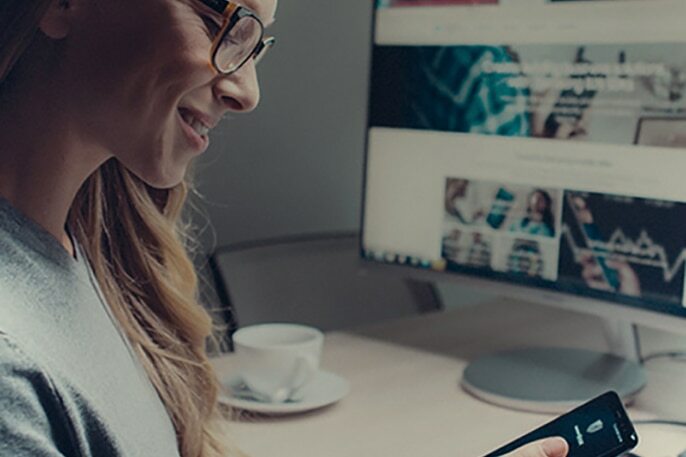 Work with partners to create secure end-to-end solutions, tailored packages and customer experiences, so you can have absolute confidence you’ve got the right solution. The Galaxy Note9 connects your business to a world of innovation as part of the Samsung Ecosystem. With wearables, tablets, speakers and more, it unlocks powerful technologies that will transform the way your teams work and enhance the way they live. 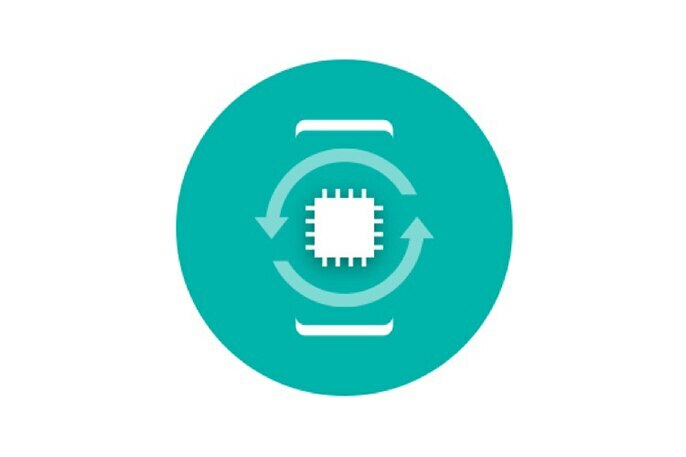 The Samsung Ecosystem is built to take your business farther, faster. 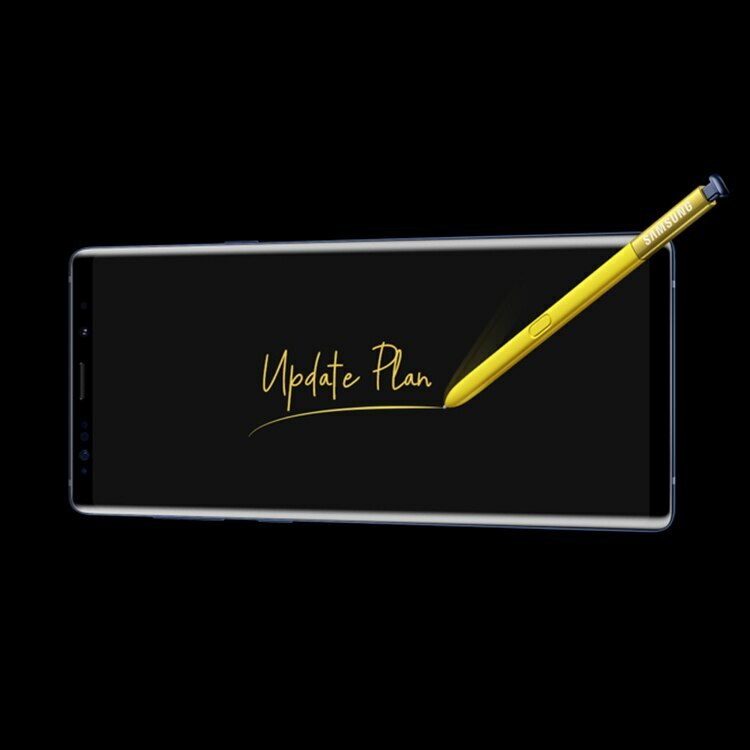 The Galaxy Note9 is poised to fit your needs and spearhead growth. And when you sign up for a Samsung Business Account, you can order larger quantities of the Galaxy Note9 Unlocked direct. Business has reached a time of constant disruption. It’s a time when only businesses that are open—to new ideas, new ways of working and new partnerships—will thrive. 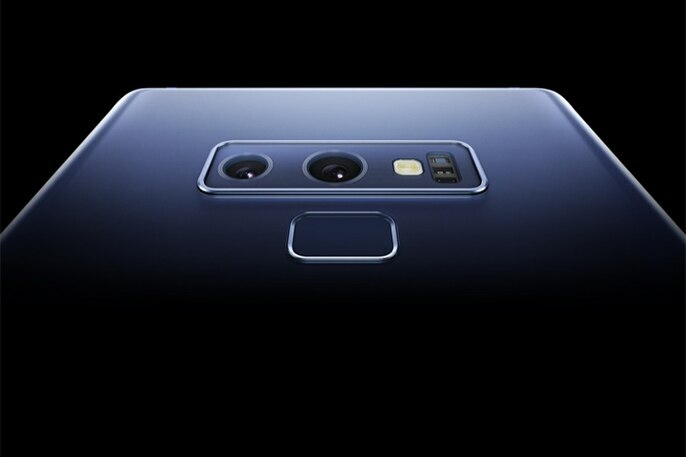 At Samsung, we call it the Next Mobile Economy. And we built the Galaxy Note9 so your business can disrupt, without being disrupted. The Quad HD+ Super AMOLED display gives you beautiful color contrast and cinematic detail, all in the palm of your hand. Stereo speakers pro-tuned by AKG and an immersive audio experience by Dolby Atmos® deliver a truly stunning audio experience, wherever you are. Please provide your contact details and our sales team will get back to you about the Galaxy Note9. Or you can call (855) 581-6892 to talk to an expert now. Buy direct and order larger quantities of the Galaxy Note9 Unlocked with a Samsung Business Account. If you already have an account, log in and use the tool below to buy now. 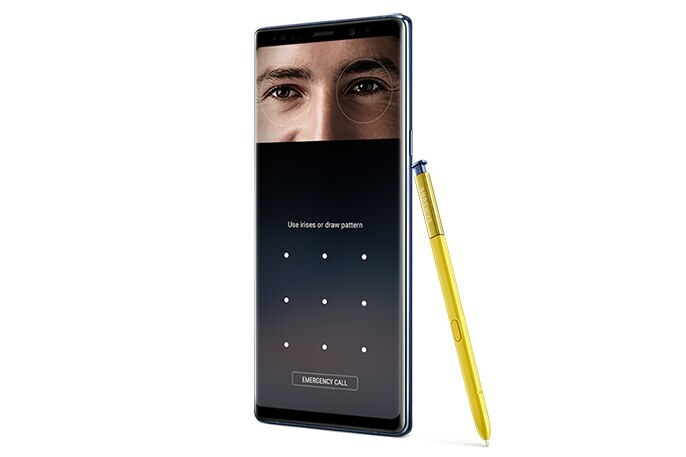 Choose your device details to purchase the Galaxy Note9 for your business. 2Using Samsung genuine HDMI adapter or cable qualified for Samsung DeX is recommended. Accessories and monitor sold separately. Screen images simulated. 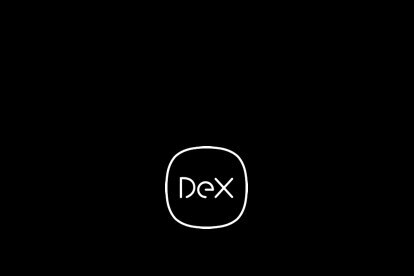 Certain apps may not run or require license (for purchase) on Samsung DeX. 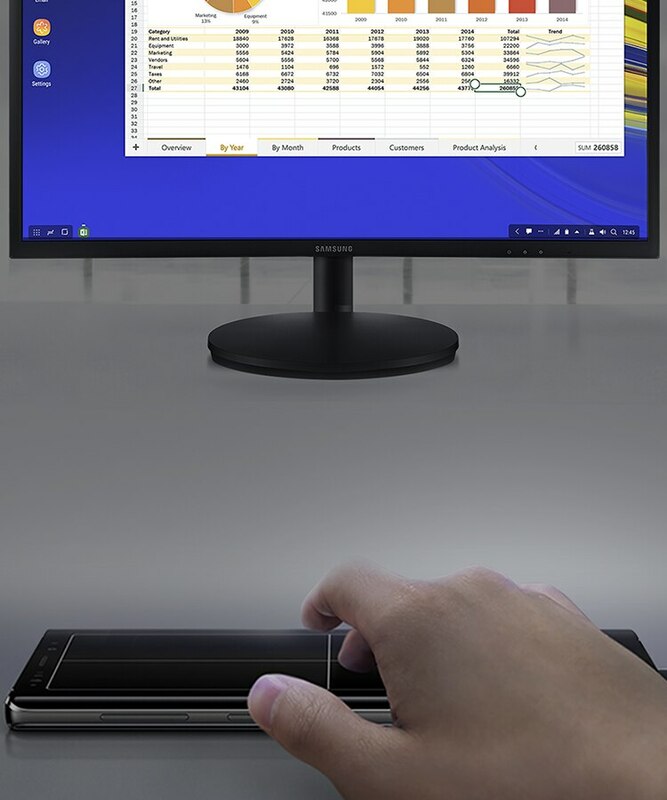 Samsung DeX using a HDMI adapter or cable only available on Samsung Galaxy Note9 and Galaxy Tab S4. The cable is sold separately and some functions may differ from DeX Pad/DeX Station. 3The Dual Aperture supports F1.5 or F2.4 mode. Dual Aperture is installed on the camera. 4MicroSD card sold separately. 512GB models available in select channels. 1TB requires compatible 512GB SD card (sold separately). Compatible 512GB SD card expected fall 2018; availability may vary by country. Actual storage space availability may vary depending on pre-installed software. 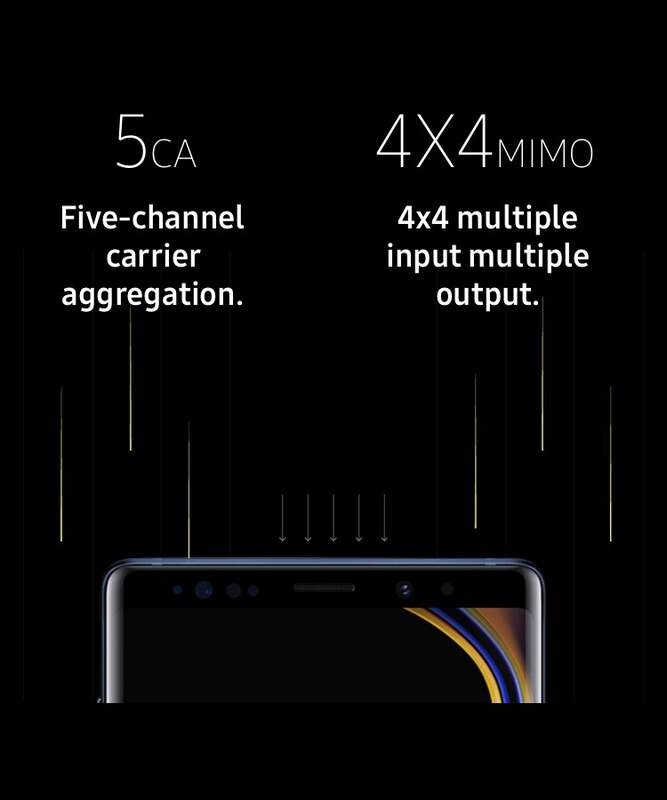 5Compared to the Galaxy S8+ or S9. 9Samsung QuickStart Services are limited to configurations of fewer than 500 devices and a maximum of 8 user/administration groups. If you have specific requirements beyond those provided by QuickStart Services, including integration with third-party solutions, please contact your partner or your carrier, or email: samsungbusinessservices@sea.samsung.com. 10Plans are sold based on MSRP or price end-user paid, whichever is less. Total duration includes one year of standard limited warranty. Labor-only costs for mechanical and electrical breakdown are covered from date of purchase. Both parts and labor costs are covered after the manufacturer’s warranty expires through the plan term. 11Water resistant in up to 5 feet of water for up to 30 minutes. Rinse residue/dry after wet.